Commercial Technology insurance protects businesses against a number of tech or IT related liabilities including: cyber liability, electronic data hacking, faulty software, inappropriate advice or IT consultation, mis-configured firewalls or inadequate anti-virus software and hardware failure. Information technology insurance is essential for most businesses and absolutely essential for others – such as businesses who operate mostly or entirely online. This insurance used to be a niche industry, but with the large number of recent data & privacy breaches, it has moved into the mainstream front and center realm of its own. The package will include a combination of General Liability Insurance and Professional Liability Insurance to provide coverage for the professional services rendered. Who needs Technology E&O and Cyber Coverage? Just about any business who transmits information over the internet needs to have some sort of coverage to protect themselves and their clients. The possibilities of data breach, infiltration, system failure, copyright infringement claims are very high, and the resulting legal consequences can bring financial ruin to a company. The Errors & Omissions coverage includes coverage for claims made against professional advice, consulting, loss of data, software design and programming, failure to perform type scenarios. Cyber and Security coverage includes first party and third party coverage for Business Income Loss & dependent business income. 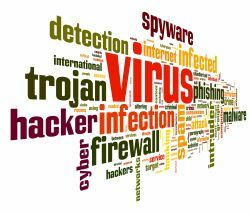 It also provides coverage for expenses and legal liability if customer’s data is breached, stolen, lost or compromised. It will respond to identity theft cases, copyright infringement cases, and will have coverage for notification costs, credit monitoring, costs to defend claims from regulators, fines and penalties. It will also respond to cyber extortion. Technology E&O and Cyber Insurance go hand in hand with overlapping coverage between both forms. The cyber liability field is relatively new. Insurance carriers are still struggling to analyze losses and to develop quantifiable loss modeling scenarios as a basis for premium calculations. As a result, coverage forms are constantly changing, while insurance carriers try to keep abreast of loss scenarios. Let the experts at CGIS / HIGGINBOTHAM guide your company through the constantly changing Cyber & Technology coverage landscape.